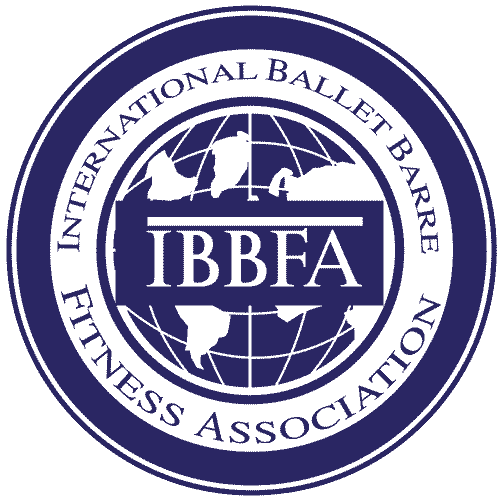 International Ballet Barre Fitness Association (IBBFA) is committed to protecting your privacy. Our primary goal in collecting your personal information is to provide IBBFA’s Barre Certification program membership with superior online services and to provide information to the general public about Barre Certification and its members as well as IBBFA’s products and services. We may collect personal information when you visit or browse our website, www.barrecertification.com (the “Site”) or use our mobile service (collectively, the “Services”). Information you give to us: We receive and safely store the information that you supply to us via the “Services”. This may include information regarding an order such as your name, company name, email address, billing address, mailing address, billing information, credit card number, credit card expiration date, shipping address, log-in name and password, social network username, your calendar, your date of birth, and electronic opt-in notifications that you authorize, including but not limited to Third Party opt-in options. Your personally identifiable information may be used by us for all legal purposes, which may include, but are not limited to, responding to your requests, processing your transactions, for administrative purposes such as conducting contests, tracking which parts of the Site are of interest to you, and processing.This may also include information provided by you to us via email, phone customer service, or questionnaires. We may also use your personally identifiable information for internal business purposes, such as optimizing Site experiences and analyzing and managing our business and services. We will only share customer information with entities that have agreed to be bound by the terms and conditions of our privacy policies as outlined herein and/or for which you have authorized disclosure to such third parties. IBBFA does not share customer information with any non-affiliated companies. However, corporate members of IBBFA are entitled to utilize the IBBFA mailing list but such usage is controlled and distributed by IBBFA directly or through an authorized company without providing such information directly to the corporate member. Additionally, corporate members are entitled to receive the name and address of all convention and conference registrants, which are made available to the corporate members by IBBFA pursuant to such policies and non-disclosure requirements. Information is only shared with entities working in concert with IBBFA. For users of our mobile service, your social network “friends” may seek the time and location of you check-ins, the points and rewards you have accumulated, and any photographs or status updates you upload or provide in the mobile service. We may send you carefully selected offers from other businesses. When we do this, we do not give that business your name and address. If you do not want to receive such offers, please indicate that you are opting out of such notification by contacting us. Other than as set out above, you will receive notice when information about you might go to third parties, and you will have an opportunity to choose not to share the information. We may disclose any information we believe are necessary to: (1) comply with law or comply with legal process served upon us or our agents, representatives and affiliates; (2) protect and defend our rights or property or those of our users or; (3) protect the personal safety of our users or the public. Should IBBFA be sold or transferred to another entity, including through a sale in connection with bankruptcy, customer information is likely to be part of the sale or transfer. Information automatically collected: We receive and store certain types of information whenever you come to the Site. For example, as is common practice, we use “cookies” and similar technologies, to obtain and determine certain information when your browser accesses the Site including, but not limited to, the Internet Protocol (IP) address used to connect your computer to the internet, email address, browser type and version, operating system and platform. Cookies are alphanumeric identifiers that we transfer to your computer’s hard drive through your Web browser to enable our systems to recognize your browser and to provide features for using the Services. Cookies allow you to take full advantage of some of the features of the Services and the Site, and we recommend that you leave them turned on. Strictly Necessary Cookies – The most important type used in the Services. Strictly necessary cookies are essential in helping you to navigate the Site and Services as well as use their basic features such as the shopping cart. Performance Cookies – These cookies collect information about how you use the Services — for instance, which pages you go to most. This data may be used to help optimize the Services and make it easier for you to navigate. These cookies may also be used to let our affiliates know if you came to the Site from an affiliate and if your visit resulted in the use or purchase of a product or service from us, including details of the product or service purchased. These cookies do not collect information that identifies you. All information these cookies collect is aggregated and is therefore anonymous. Functionality Cookies – These cookies allow the Services to remember choices you make while browsing. For example, we may store your geographic location in a cookie to ensure that we show you the Site localized for your area. They may also be used to keep track of what featured products or videos have been viewed to avoid repetition. The information these cookies collect will not personally identify you, and they cannot track your browsing activity on non-IBBFA websites. Targeting Cookies – These cookies are used to deliver advertisements more relevant to you and your interests They are also used to limit the number of times you see an advertisement as well as help measure the effectiveness of the advertising campaign. They are usually placed by advertising networks with IBBFA’s permission. They remember that you have visited a website and this information is shared with other organizations such as advertisers. Quite often targeting or advertising cookies will be linked to site functionality provided by the other organization. For users of our mobile service, we automatically receive your location when you use the Service. We may also receive other information from your mobile device, such as a device identifier. A device identifier is a small data file stored on or associated with your mobile device, which uniquely identify your mobile device. A device identifier may be data stored in connection with the device hardware, data stored in connection with the device’s operating system or other software, or data sent to the device by IBBFA. Information about you given to us by third parties: We may in the future work with certain companies who, in conjunction with their own customer incentive programs, may provide information about you to use including your account information and purchasing authorization. IBBFA may partner with third-party service providers to serve ads on our behalf on non-affiliated third party sites. Some of those ads may be personalized, meaning that they are intended to be relevant to you based on information we or the online advertising network serving the ad collect about your online activities here and elsewhere over time. For example, anonymous information collected across multiple sites that you visit over time may enable the ad network to predict your preferences and show you ads that are most likely to be of interest to you. Please note that we do not share any information that identifies you personally with the third party service providers who serve ads on our behalf. To opt out of these types of ads, please visit the Network Advertising Initiative for information about how to opt-out of interest-based advertising by their members. Seehttp://www.networkadvertising.org for general information about the NAI and http://www.networkadvertising.org/managing/opt_out.asp for the opt-out page. You may also visit http://www.aboutads.info/consumers/ to learn about online behavioral advertising and how to opt-out from online behavioral ads served by some or all-participating companies. When you click links and/or banners that take you to third party web sites, you will be subject to the third parties’ privacy policies. We urge you to read and understand the privacy policies of such sites, as their practices may differ from ours. IBBFA undertakes reasonable measures, including using encryption technology, to keep your personal information safe. It is important for you to protect against unauthorized access to your password and to your computer. Be sure to sign off when finished using a shared computer. IBBFA will keep written records of correspondence, written tests, practical exams, final evaluations and any other pertinent data for a minimum of 5 years. IBBFA uses a privately owned and operated core data storage center to store and record all data. All data storage is contained on redundant networks and has premium security protection. All data storage is SSAE-16 compliant.